Pulwama Terror Attack: Adil Ahmed Dar had carried out the attack on the CRPF convoy. Gundbal village, Pulwama: The 19-year-old Jaish-e-Mohammed terrorist who killed more than 40 CRPF jawans in the worst-ever attack on security forces in Jammu and Kashmir had a long history of participation in stone throwing and protests. Stone throwing incidents had escalated during the 2016 unrest in the Kashmir Valley in the aftermath of Hizbul Mujahideen terrorist Burhan Wani’s killing. “He was a chronic stone-thrower. There are cases against him,” said Chandan Kohli, Superintendent of Pulwama. Police sources say Adil Ahmed Dar disappeared in March last year and joined Pakistan-based terror group Jaish-e-Mohammed. Ghulam Hassan Dar said he felt the pain of the families of the soldiers killed in the attack. At Gundbal village in Pulwama, just 10 kilometres from Thursday’s blast site, there is a sense of disbelief in the Dar family over the transformation of their teenage son into a suicide bomber. The father of the terrorist, Ghulam Hassan Dar, said his son suddenly disappeared from home during the middle of his board exams last year. On Thursday, it was the local police who informed them that Adil Ahmed Dar had carried out the attack on the CRPF convoy. Sitting on a cot in his house, Ghulam Hassan Dar said he felt the pain of the families of the soldiers killed in the attack . “I was pained to see the deaths of these CRPF soldiers. I understand the pain and suffering of their families, those who lost their dear ones,” he told NDTV. The suicide bomber had recorded a video message before he carried out the deadly attack. His family and friends say nobody had ever imagined that the teen could carry out such a strike until they saw the video message that surfaced on social media soon after the massacre. 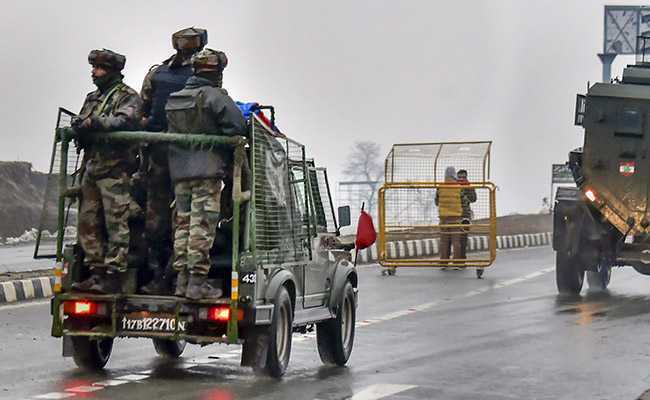 Over 40 soldiers were killed in the Pulwama terror attack. “I had never imagined my son would become a suicide bomber. I had never thought like this. I’m an illiterate man. I don’t know why it is happening. He had no inclination to join terrorism. He was writing his Class 12th exams when he disappeared last year,” said Dar. Calling for an end to bloodshed in Kashmir, Dar blamed politicians. “I wish no one becomes a suicide bomber. But there will be more because there is mindset like that. It is because there is no solution to the problem in Kashmir. They must find a solution,” he said. Police say nearly 200 local youth joined terrorism in 2018. Though the number of fresh recruitment has gone down in the last few months, according to the police, suicide attacks by locals have unnerved security forces. In January last year, 16-year-old Fardeen Ahmad, the son of a policeman, carried out a suicide attack on a CRPF camp in the area, killing five personnel. Like Adil, Fardeen also recorded a video before the attack, which was circulated on social media. Police sources called it a clear indication of how Pakistan-based Jaish-e-Mohammed was brainwashing local youth.